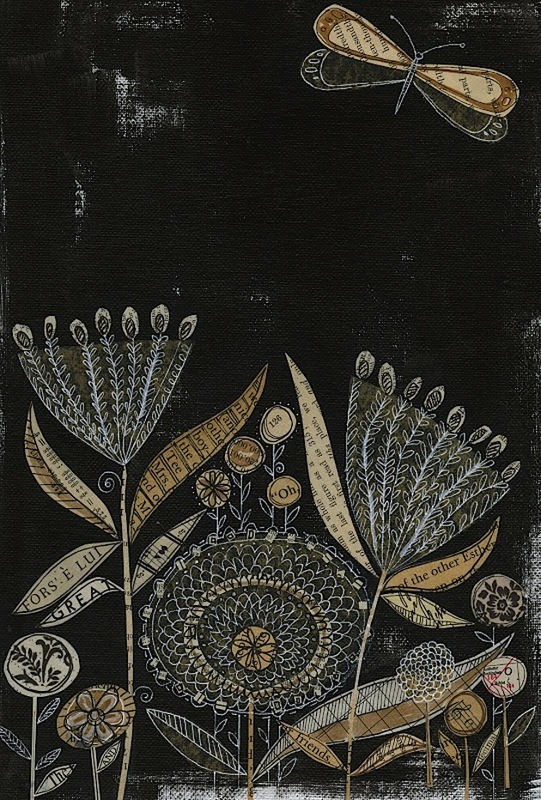 Susan Black makes wonderful collages, mixing paint and re-used material of all sorts. Like this piece, which I found on her blog 29 Black Street. If you like what you see, you can buy her work at her Etsy shop.